Donald Trump will make "major decisions" on a US response to a "barbaric" and "heinous" chemical weapons attack in Syria over the next 24 to 48 hours. 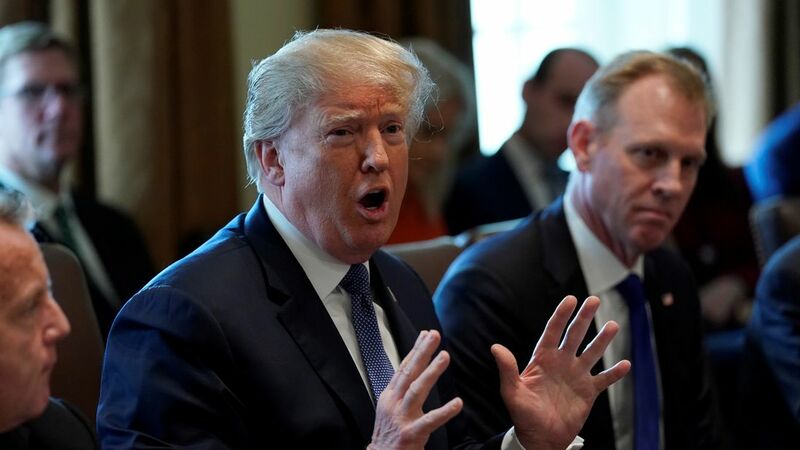 The US President revealed he is "studying the situation extremely closely" as he contemplates a reaction after at least 70 people were reported to have been killed and 500 injured in the city of Douma on Saturday.Speaking in the White House, Mr Trump said: "It was an atrocious attack, it was horrible, you don't see things like that - as bad as the news is around the world, you just don't see those images. "We are studying the situation extremely closely, we are meeting with our military and everybody else and we'll be making some major decisions over the next 24 to 48 hours. "We are very concerned when a thing like that can happen. This is about humanity, we're talking about humanity. And it can't be allowed to happen. "So, we'll be looking at that barbaric act and studying what's going on. "The Syrian regime has denied being responsible for the attack, while Russia - which backs the country's President Bashar al Assad - also rejected allegations the Syrian government was to blame.Mr Trump revealed the US is "trying to get people" into Syria as he asked: "If they're innocent, why aren't they allowing people to go in and prove? Because, as you know, they are claiming they didn't make the attack. "He added: "If it's Russia, if it's Syria, if it's Iran, if it's all of them together, we'll figure it out and we'll know the answers quite soon. "So, we're looking at that very, very strongly and very seriously. "Mr Trump spoke hours after Theresa May blasted Russia for enabling "long-standing international norms" on chemical weapons to be broken.The Prime Minister said she found pictures of Syrian children foaming at the mouth "horrific" and also branded the raid "barbaric", suggesting President al Assad could be behind it. 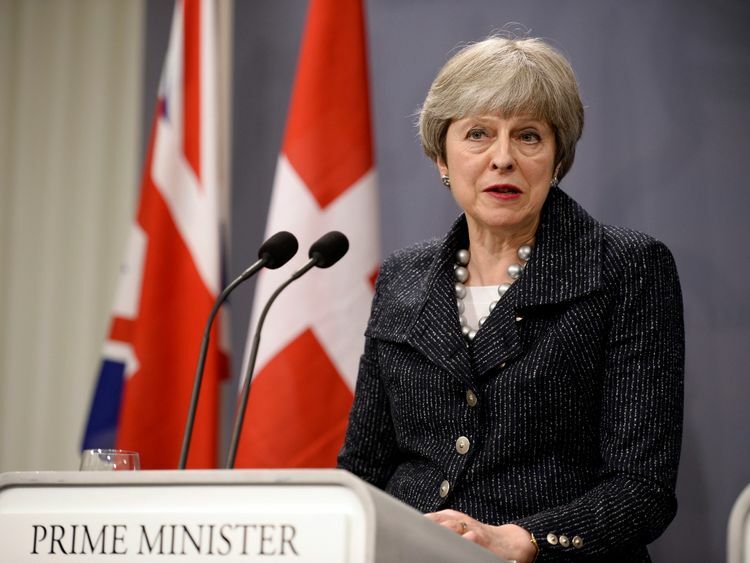 Speaking at a news conference on a trip to Denmark, Mrs May declared that "incidents like this cannot be tolerated". "The UK utterly condemns the use of chemical weapons in any circumstances and we must urgently establish what happened on Saturday," she said. "If confirmed, this is yet another example of the Assad regime's brutality and brazen disregard for its own people and for its legal obligations not to use these weapons. 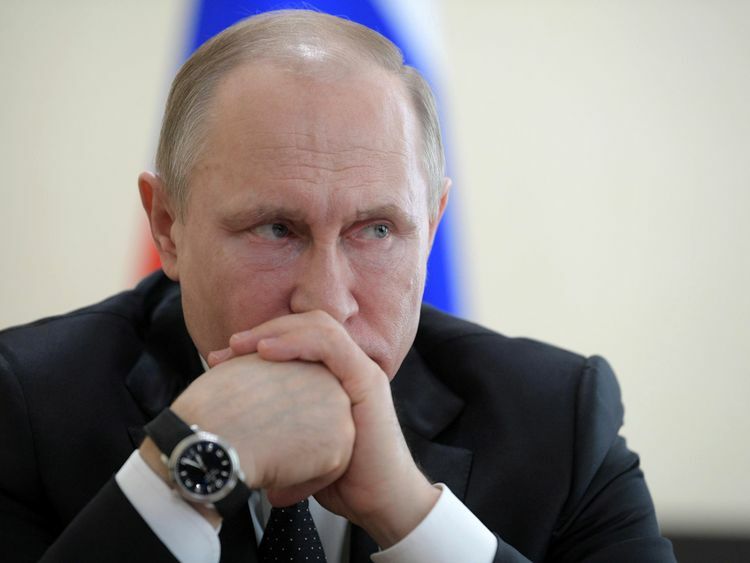 "If they are found to be responsible, the regime and its backers, including Russia, must be held to account. "Mrs May added that the attack "fits into a troubling wider pattern" of "abuse of long-standing international norms" on chemical weapons:: Israel accused of deadly Syria airfield bombingAttacking Russia for its "repeated vetoes" at the UN, Mrs May said they had "enabled these rules to be broken... and removed mechanisms that allow us to investigate" chemical weapons attacks in Syria.She declared: "This must stop. "On her trip to Sweden later on Monday, the Prime Minister was quizzed on Mr Trump's comments and asked whether the UK would join a possible international coalition in favour of renewed military action in Syria.Mrs May replied: "We are clear that those responsible should be held to account. "We are working urgently with our allies to assess what has happened but we are also working with our allies on any action that is necessary." The Prime Minister repeated the same answer when asked if she would consider recalling Parliament from its current recess to debate military action in Syria.Mrs May promised to work with other countries ahead of a showdown at the UN Security Council on Monday. A Russian military taskforce in Syria claimed to have visited the hospital where patients were said to have been treated and found no evidence to back up reports of an attack.They quoted a doctor and an ambulance driver who both reportedly said they had not dealt with anyone showing symptoms of chemical poisoning.But an aid group with links to anti-Assad forces called it "one of the worst chemical attacks in Syrian history".Volunteer rescue service The White Helmets, which also has links to opposition forces, said many of the victims were women and children. 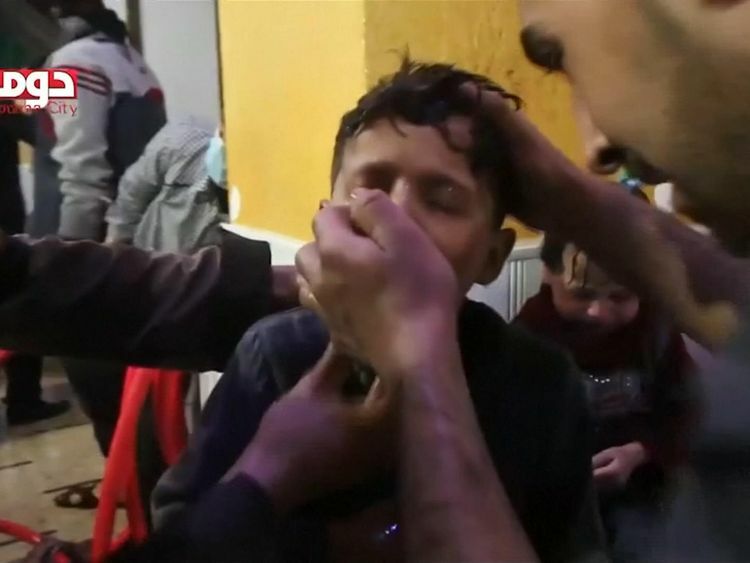 The group published graphic images showing a number of dead children who appeared to have been frothing at the mouth.The Syrian American Medical Society also described patients foaming at the mouth, saying victims suffered corneal burns and smelled of a "chlorine-like odour".